This post originally appeared on CALS News. Dr. Wayne Yuan recently was awarded the Alexander von Humboldt Foundation’s “Research Fellowship for Experienced Researchers.” The foundation promotes international academic cooperation between excellent scientists and scholars from Germany and from abroad. Fellowships and awards from the foundation are considered to be among the most prestigious and generous awards in Germany. Under the support of this competitive fellowship, Yuan will conduct collaborative research about biochemical synthesis at Hamburg University of Technology in Germany. 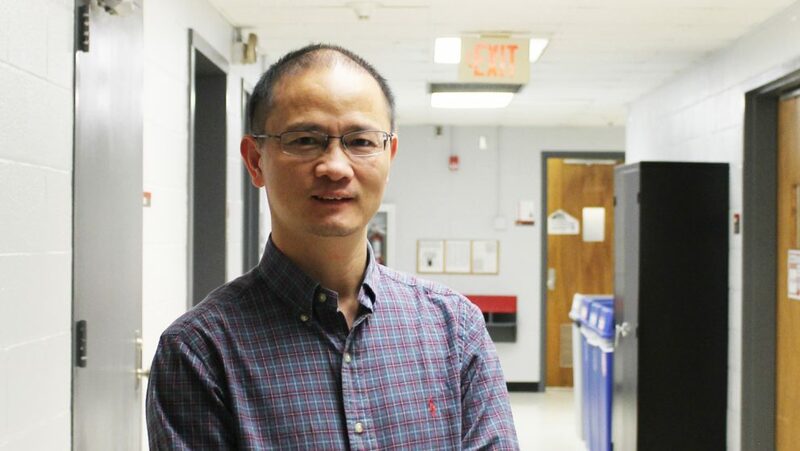 Yuan, a University Faculty Scholar and professor of biological and agricultural engineering, recently sat down with us to answer a few quick questions. Read on to learn more about him. Why did you choose to join NC State? I joined NC State as an associate professor in the Department of Biological and Agricultural Engineering on January 1, 2012. NC State is a great university that promotes innovative research and higher education. It is also located in a nice place that supports both professional development and family life. My main research focus is on issues and needs related to biological/engineering systems that produce, process or utilize agricultural commodities and other biologically based materials for energy, food and value-added products. My lifetime goal is to discover and promote the use of next-generation energy, food, feed and other renewable products for a sustainable future! That is why I chose my area of study. One of my recent projects is to develop an artificial leaf that can convert sunlight, carbon dioxide and water into glucose without relying on plants. I call it artificial photosynthesis. Via collaboration with several other universities and the support from National Science Foundation, we have successfully designed such devices. I like my job because it gives me the independence and freedom to educate our future generations and to solve our society’s most critical issues.